Fully enjoy the beauties of Japanese nature, such as Mt. Fuji, cherry blossoms, fireflies and traditional festivals. 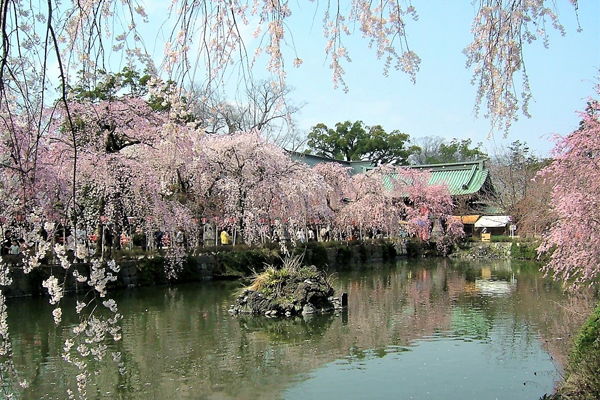 Some 200 cherry trees (15 varieties) bloom in the shrine grounds. The 200-meter long cherry blossom tunnel on the shrine's main path and the pink bloom reflection in Kamiike Pond are spellbinding masterpieces. The best viewing season is usually the end of March to early April. 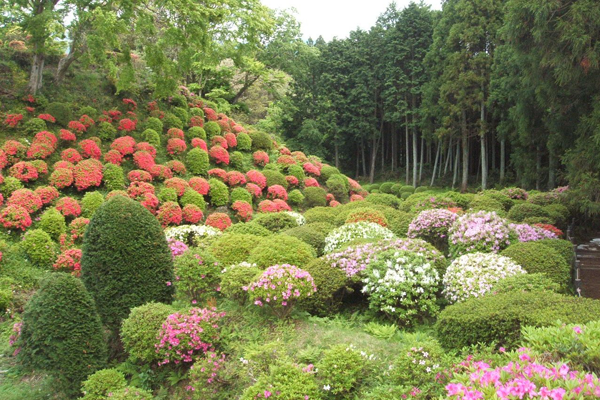 In this green and historical park, a spectacular vista of nature is on parade, and blooms such as cherry blossoms, azaleas and hydrangeas can be enjoyed. The best viewing season is early April to mid May. 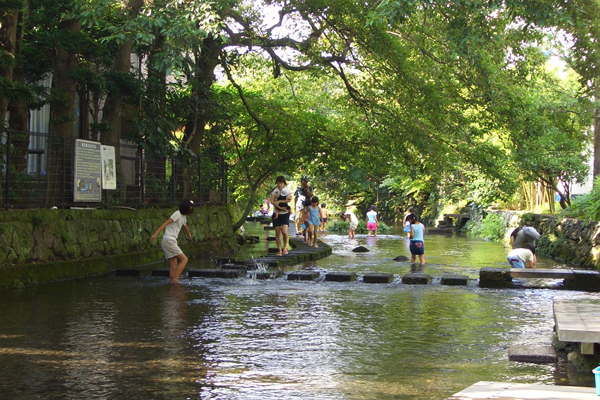 There are stepping stones in the river for visitors to enjoy a stroll in the babbling shallows. And, on early summer evenings, fireflies can be seen dancing along the banks. 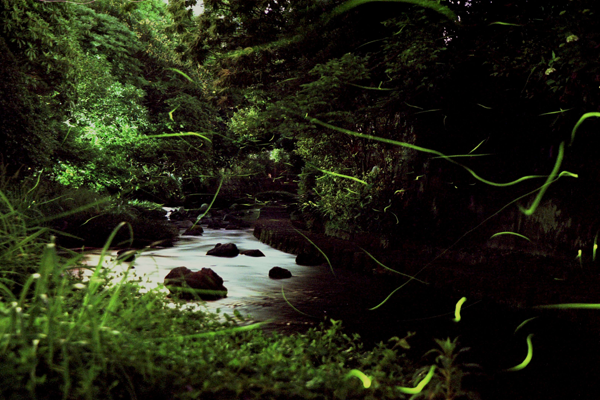 The best time to see fireflies is from early to late May. *This time may change depending on the weather. 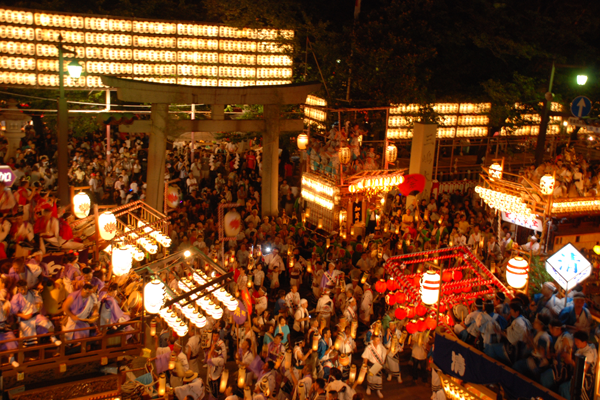 Held annually for three days between the 15th and 17th August, this is the biggest event in Mishima - stoked with tradition and fervor that reaches an intense peak with the driving intensity of the percussion instruments being played on floats. 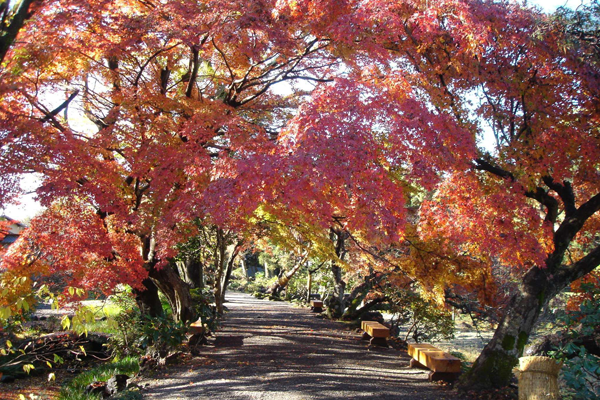 The middle of November is the best time to catch the colors of autumn in Mishima. 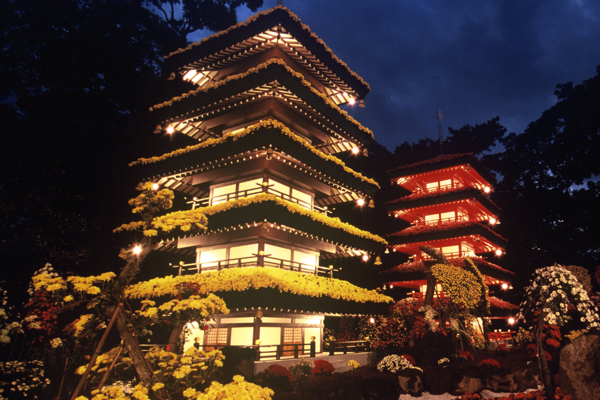 And, every year, throughout the month of November, the Chrysanthemum Festival is held, with the flower-arranged architecture and beds looking their best during this period. 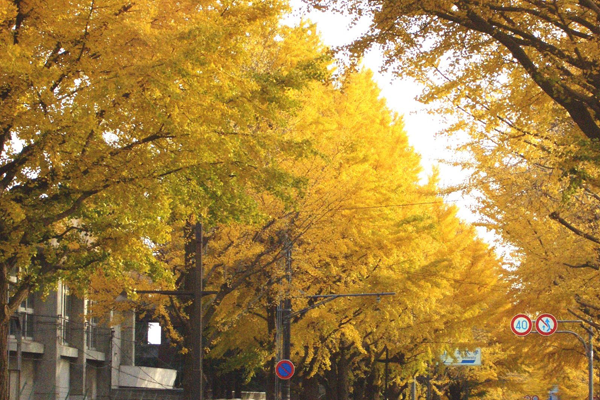 Planted with 117 gingko saplings back in the Taisho period (1912-1926), this tree-lined avenue stretches some 600 meters, and is best viewed in November. 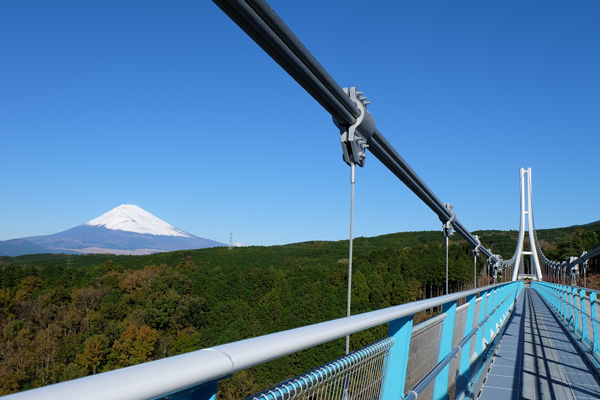 From the Mishima Skywalk suspension bridge (pedestrian), the snow-clad splendor of Mt. Fuji can be seen. From nearby the remains of the west tower, Mt. 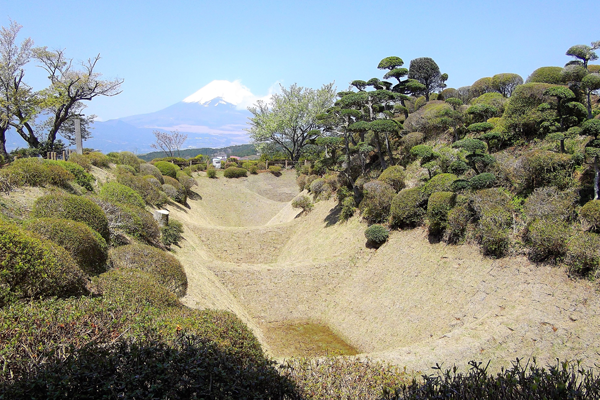 Fuji and the moat network can be seen simultaneously.